To deliver high-flying drone photography, 2D/3D visualizations, and 3D photogrammetry services to a vast array of clients. Sharing MABU’s mission of advancing the client’s mission, our aerial partner Shutter Pilots supplies high-quality promotional material via a network of FAA accredited unmanned aerial vehicle (UAV) pilots and imaging specialists. 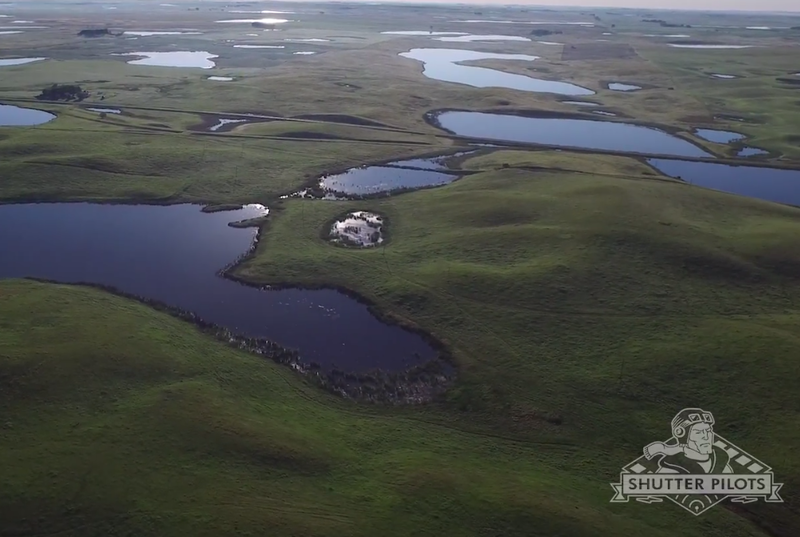 An aerial photo taken above North Dakota’s Prairie Pothole Regions for Shutter Pilot’s first client — National Geographic. Shutter Pilots and their affiliates offer unmatched expertise in all services provided, so clients can rest assured that the aerial imaging services they select will not only meet their requirements, but exceed their expectations. Shutter Pilots has provided numerous organizations, including National Geographic, North Dakota Department of Tourism, and the Fort Abraham Lincoln Foundation with beautiful imaging solutions tailored to their project. Visit the Shutter Pilots portfolio to view several finished work samples.